IDC has prepared a very thorough examination of the depth and reach of Salesforce and its ecosystem, anticipating an eye-popping $100 billion in new revenue generated in 2015-2020. That’s a big number. Clearly, the ecosystem is growing at an accelerated rate. Yet this economic impact is really a symptom of the larger phenomena of empowerment, transformation and customer success that is uniquely attainable through Salesforce. 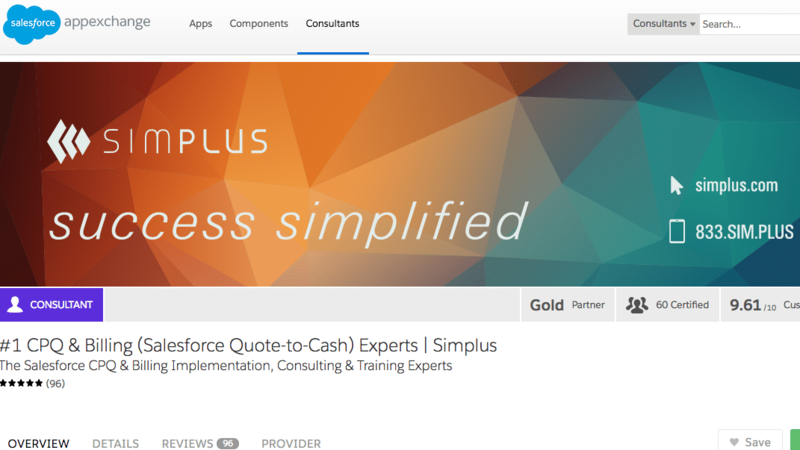 At Simplus, we have been witness to the asymmetrical impact Salesforce technology has had in the software industry. While the current economic impact is well documented in this IDC study, the more important impact of Salesforce has been to empower both enterprise business and IT in transformative ways. For business users, Salesforce Software as a Service (SaaS) has enabled these users to uncouple implementation cycles from traditional IT constraints common with on-premise implementations. These constraints include hardware procurement, software installation and set-up, as well as complex integrations typical of legacy software stacks. With Salesforce, business users can focus on solving automation and collaboration problems with agile tools deployed in short, productive iterations vs. the struggle of staging on-premise apps. For IT, the Infrastructure-as-a-Service (IaaS) aspect of Salesforce has freed up valuable IT cycles from the non-value-added data-center activities targeted towards “keeping the lights on”. These cycles have unshackled senior IT executives from routine maintenance headaches and given them the latitude to focus on transformation initiatives that move the needle for the business. The Salesforce Platform as a Service (PaaS) has collapsed the barrier to entry for creating custom software solutions by at least 2/3. By delivering security, authentication, roles, permissions, automated workflow and a host of other capabilities on-demand, the Salesforce PaaS dramatically simplifies coding by eliminating the need to re-invent these features and allowing developers to focus exclusively on business logic. Whether for commercial-grade applications created by new ISVs or for internal employee productivity purposes, these new agile applications can be quickly developed, tested and deployed. The Salesforce data architecture allows for businesses to take a holistic approach to their customers. Because Sales, Service, Marketing and native applications all leverage common data objects, the need for traditional integration is eliminated. This holistic customer-centric data architecture can radically transform customer relationships when properly implemented. This approach generates customer intimacy that engenders the type of loyalty and advocacy that historically has been the purview of a few choice brands. Our client, Mitsubishi Electric, recently achieved this type of transformation with its recent Salesforce quote automation project, which achieved a 1000% increase in efficiency, resulting in 30% increase in deal flow. Working inside a new Partner Community, Mitsubishi customers are far more likely to buy from Mitsubishi because the ease of doing business with such an efficient supplier. These enablement capabilities have overwhelmingly made Salesforce the platform of choice for the customer-centric enterprise, spawning an ecosystem and third-party industry the likes of which the software industry has not previously witnessed. As its second decade of existence begins to come to a close, Salesforce has an impressive legacy upon which to build for future success. As Salesforce operationalizes their recent investments in AI, Machine Learning and Analytics, their prominence as an enterprise software vendor will continue to grow and expand beyond its traditional CRM base.